Shemar Moore at the Maxims Pre-Super Bowl XLI Party. Shemar Moore at the 2007 Monte Carlo Television Festival. Shemar Moore at the 21st Annual Soul Train Music Awards. Shemar Moore at the 2006 Black Movie Awards. Mario Van Peebles and Shemar Moore at the 2006 Black Movie Awards. Kirsten Vangsness and Shemar Moore at the 14th Annual Diversity Awards. 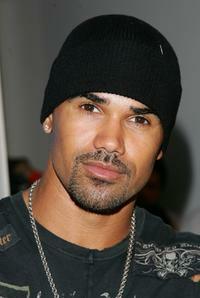 Shemar Moore at the 2007 Winter Television Critics Association Press Tour. Shemar Moore and Kirsten Vangsness at the 14th Annual Diversity Awards. Shemar Moore at the Castel SantAngelo for the opening day party of RomaFictionFest. Shemar Moore at the Auditorium della Conciliazione for the opening day party of RomaFictionFest. 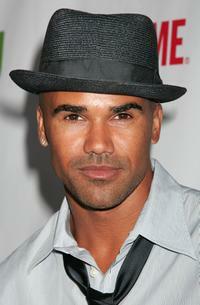 Shemar Moore at the CW/CBS/Showtime/CBS Television TCA party. Shemar Moore and Mandy Patinkin at the photocall of 2007 Monte Carlo Television Festival. 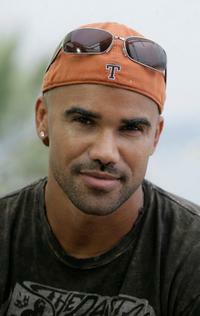 Shemar Moore at the photocall of 2007 Monte Carlo Television Festival.